Cuisinart 5-in-1 Griddler Just $77.24 (Reg. $133)! 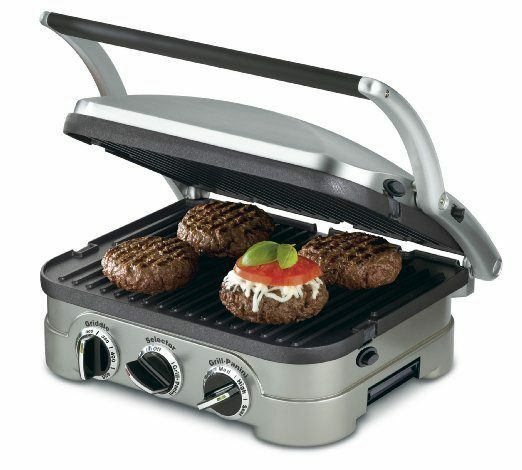 You are here: Home / Great Deals / Amazon Deals / Cuisinart 5-in-1 Griddler Just $77.24 (Reg. $133)! Head over to Amazon and order the Cuisinart 5-in-1 Griddler for Just $77.24 (Reg. $133)!Prime members and orders of $35+ get FREE Shipping! Add a silky-soft layer of warmth to the bed with this luxurious Liquid Cotton Blanket by Pinzon. The lovely blanket helps regulate body temperature, offering the perfect amount of year-round warmth for all but the harshest of winter nights. Use the blanket with existing bedding for the perfect ensemble in any master bedroom or kid’s room–or to make out-of-town guests feel exceptionally welcome!